The first chart of 2015 kicks off with two debuts, both from artists who charted in 2014. Brandi Carlile returns with “Wherever Is Your Heart,” the first official single from The Firewatcher’s Daughter and her second from the album to chart following “The Eye.” EZA returns with “Headlights,” from the Nashville Indie Spotlight 2015 compilation. She peaked at #61 in August with “Dreamer,” from her own Means Of Escape EP. 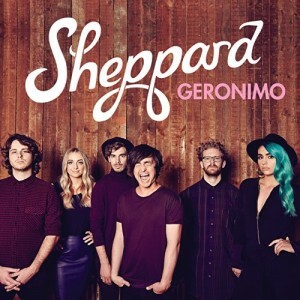 Sheppard also returns for the third time with “Geronimo,” which peaked at #45 in November. Jamie Scott leads debuts for the second time in three weeks with new preview single “Carry You Home” bowing at #22, just above Elle King’s “Ex’s & Oh’s” at #27. Big Data re-enters the chart with “Dangerous,” which debuted at #80 earlier this year before my chart went on hiatus; Echosmith, Sheppard, Vance Joy, and MKTO also return after a few weeks off. New entries from Ella Henderson, Alex & Sierra, Jamestown Revival, and others dot the bottom reaches of the chart.